Tire clearance at the suspension's full bump travel is ample, but look how much of the upper frame rail needed to be cut away for clearance. Here's a closeup of the new for 2012 front upper A-arms and mount. The mount is welded directly to the factory frame rail where there are two layers of sheet metal. The geometry was figured out by Murray and a couple of his friends. Since the front subframe is still factory Nissan and mounted in the factory location, relocating the steering rack would be very difficult. Offsetting the tie rod vertically was the solution to keeping bump steer in check. 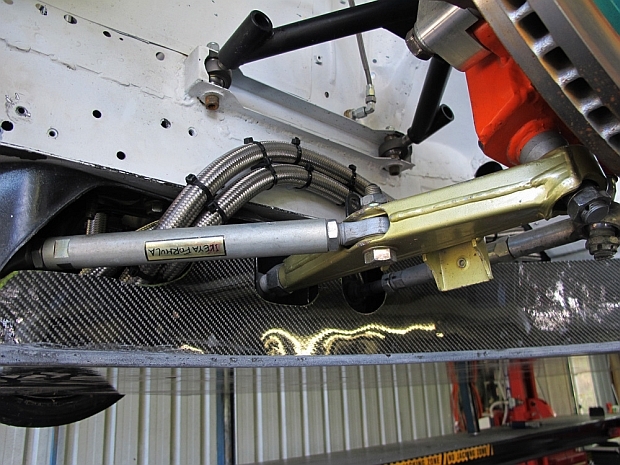 The stainless braided hoses are for the dry sump oiling system which was also new for 2012. Ikeya Formula front lower control arms and tension rods are used for their wide range of adjustability and proven track record. The front knuckle is a Driftworks piece. With the larger 355mm Brembo brakes MCA installed for 2012, Earl was experiencing bad pad knockback at Eastern Creek. 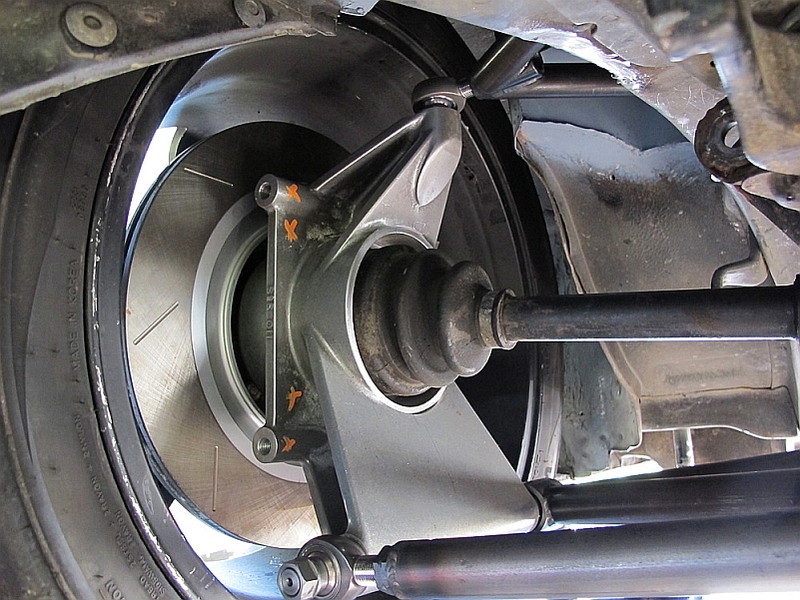 To eliminate the knockback, Murray chose to re-install R33 GTR Brembo calipers and rotors which are only 296mm. This solved the issue. The cause could be one of several reasons. The Driftworks pieces were made specifically for drifting, but they still use the factory Nissan bearing which may not be large or strong enough to resist the deflection that the larger brakes and huge levels of grip the S13 generates. 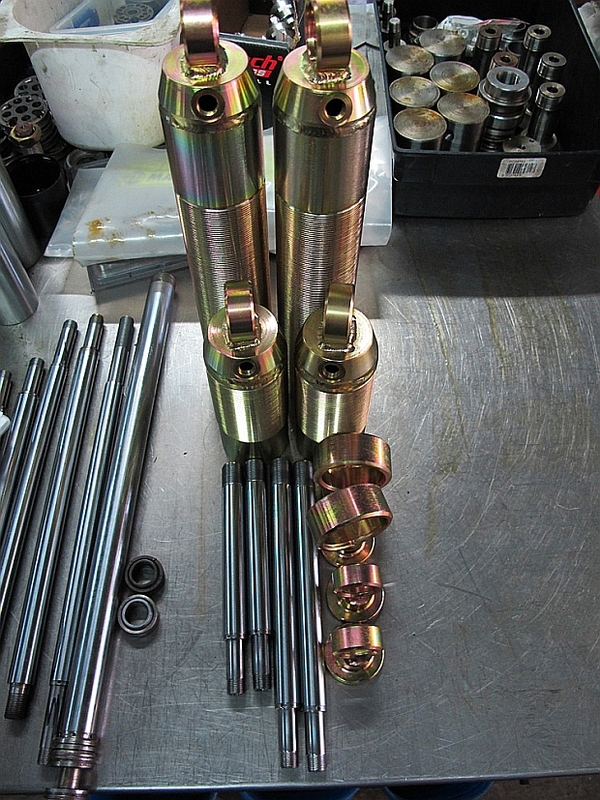 Niether Driftworks or Nissan ever intended the uprights or bearings to be used in this extreme of an application. 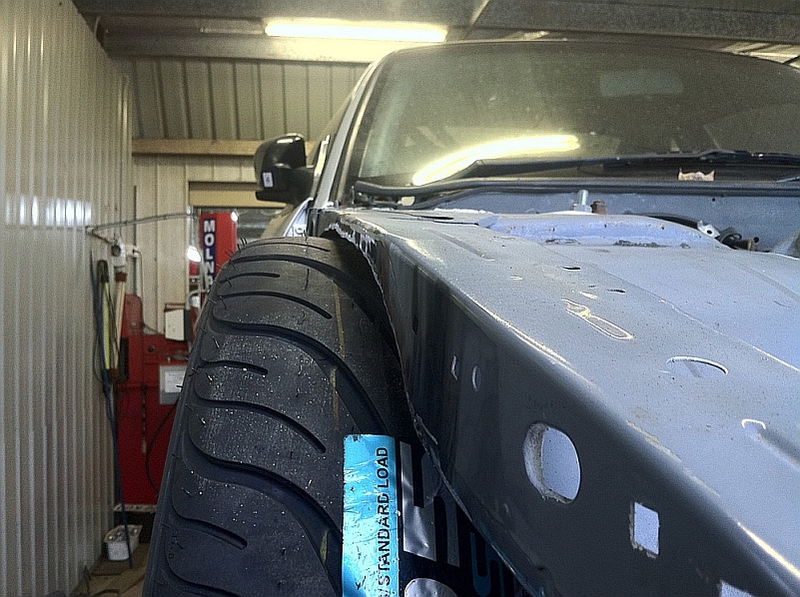 295mm wide Hankook Ventus TDs are one of the stickiest DOT tires on earth and at the kinds of cornering loads this S13 is seeing, the upright and bearing choice will probably have to be revisited if larger brakes are to be used. For a good explanation on pad knock back, check out this article on the Stop Tech site: Pad Knockback – A Common Racing Phenomenon. The rear uprights were designed and supplied by Barry Lock the aero guru. The rear subframe is mostly fabricated and all that remains from the factory Nissan rear subframe is the two rear mounting pegs. 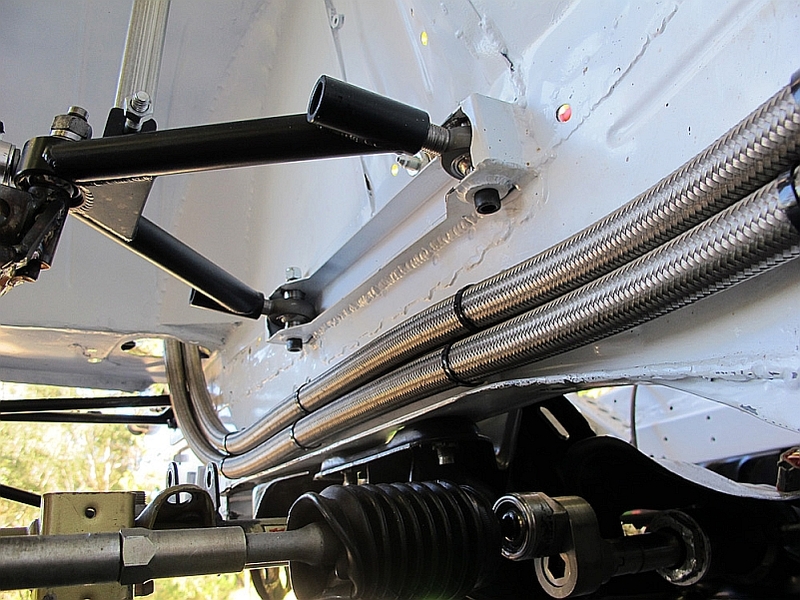 The subframe was built to accommodate the double A-arm rear suspension, but bolts to the factory subframe mounting positions on the unibody. The subframe mounting position has not been raised into the chassis. Even when he's out of focus, Mike is still smiling away! The Hankook Ventus TD in 295/30/18 is MCA's tire of choice. Much to the chagrin of Yokohama, Hankook Ventus TDs were also on the 1st, 2nd, and 3rd place cars at WTAC 2012. But Yokohama got their revenge in the end because WTAC 2013 will be an all Yokohama event. There's good and bad to this, but more good than bad really. Tire manufacturers do not truly care about Time Attack since it accounts for VERY little of their actual tire sales. And if nobody's really going to benefit from it, then I see the level playing field as a positive thing for the competitors. Naturally, MCA Suspension Gold Series 3-way adjustable dampers with remote reservoirs were used on the Hammerhead. 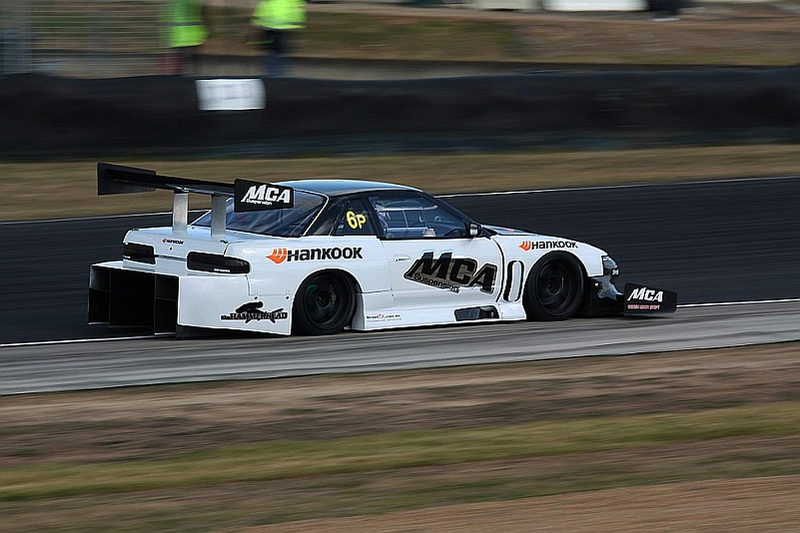 MCA's dampers were on the Nemo EVO, the Tilton Interiors EVO, and the MCA S13 which means that MCA's dampers were on the 1st, 2nd, and 3rd place cars at WTAC 2012. Murray certainly knows his dampers!